Are you looking for a gift that will instantly bring a smile on the face of its recipient? 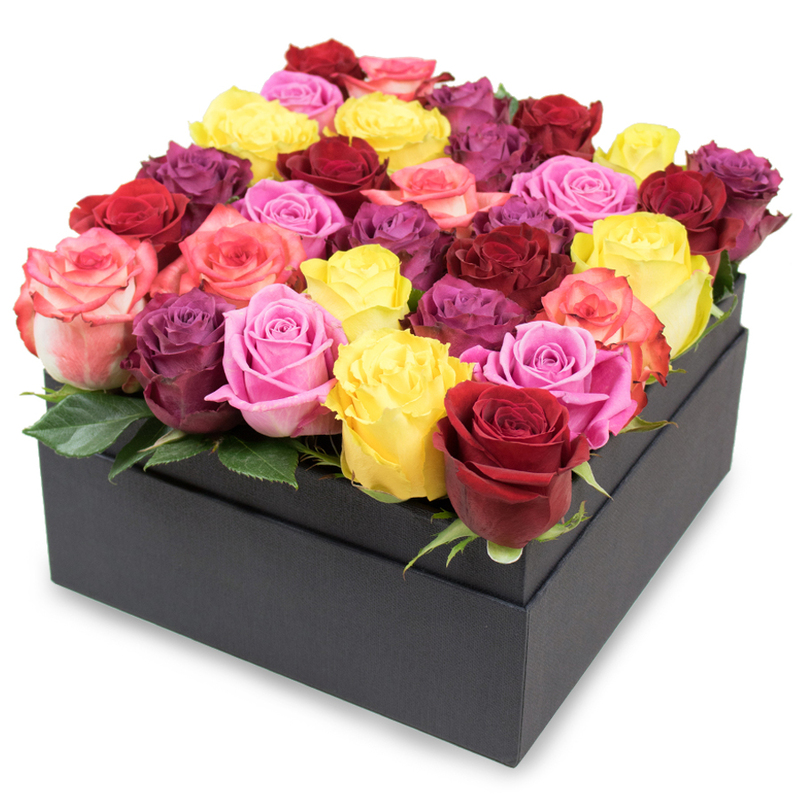 This amazing combination of purple, red, yellow and pink shade roses is an eye-catching delight to send to the people you really care about! Never thought I would say I LOVED flowers! My boyfriend sent me roses that were stunning! I was totally surprised to receive the flowers. What a lovely early Valentine's day gift! Always a wonderful customer service. Excellent flowers! The best service ever! Thank you for the excellent experience! Got this box delivered yesterday. The roses were out of this world - so beautiful and colourful! Amazing creation! The roses arrived in the same magnificent arrangement that is shown on the website. Absolutely pleased with my order. My friend will fall in love with this gift box, I'm sure! I really like its colourful and very charming design!